Since getting my new iPhone 6, and iOS 8, there were a couple of times I couldn’t access my camera from my lock screen. I didn’t think anything of it at first — I just brushed it off as carelessness — but then it happened a few more times this weekend. Not only could I not access the Camera, I couldn’t access Control Center either. I would swipe up on my screen, but nothing would happen. I tried multiple times. Nothing. Eventually, hours later, it would work, but I couldn’t figure out why it was only working intermittently. Once or twice could have been a fluke, sure, but after multiple occurrences I’m now wondering: Is this a widespread issue? Is the problem with iOS 8 or my device? I soon found out I wasn’t alone. Anyone having intermittent issues accessing Control Center or the Camera from the lock screen? Once in a while it just won’t work for me. 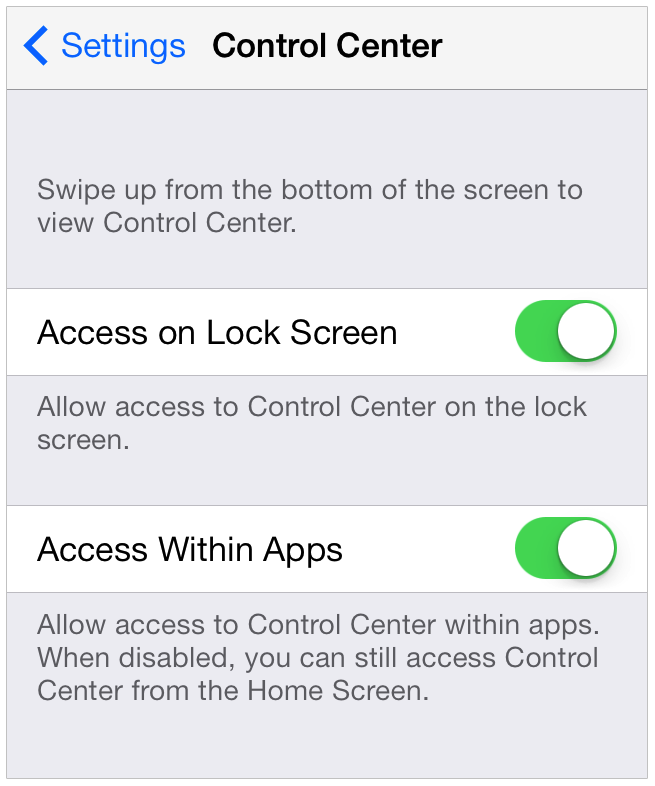 The only things we’ve found as possible fixes so far have been to ensure Control Center is enabled by navigating to Settings > Control Center. Both options should be turned on. You can try toggling them off and then back on for a possible fix as well. 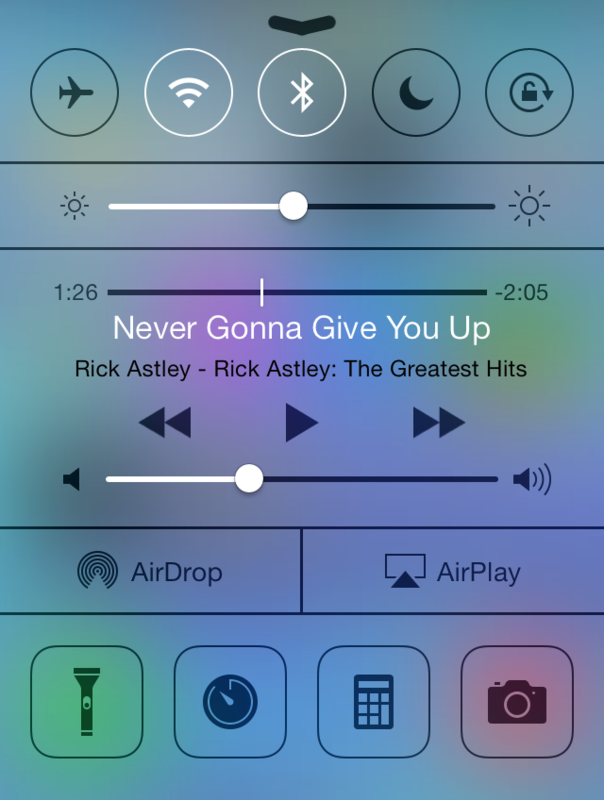 This is obviously just for Control Center and won’t help with Camera issues. Other than that, we suggest doing a hard reset as that has seemed to help: Hold the home button and power button simultaneously until your device shuts off on its own (ignore the slider). I’ve done these things and haven’t noticed the issue since. However, since it is intermittent, I’m worried it may still be a lingering problem. Although we don’t see this specific problem mentioned on the Apple forums, we did notice a couple of instances that were similar. Honestly, we just wanted to address the issue and see how widespread it is. Have you experienced this problem on your lock screen in iOS 8? Tell us which device you use, which OS version you’re on, and how often it’s happened (Control Center or Camera or both? ).